Already planning your next kitchen remodel? Then you will want to see what is happening in the world of kitchen design trends for the upcoming year. With so many kitchen remodel ideas, it may be hard to narrow down your choices and pinpoint the perfect design and aesthetic for your home. However, once you have a good starting point, you know what you are looking for, and have set your budget, the entire process will be much easier to accomplish from start to finish. 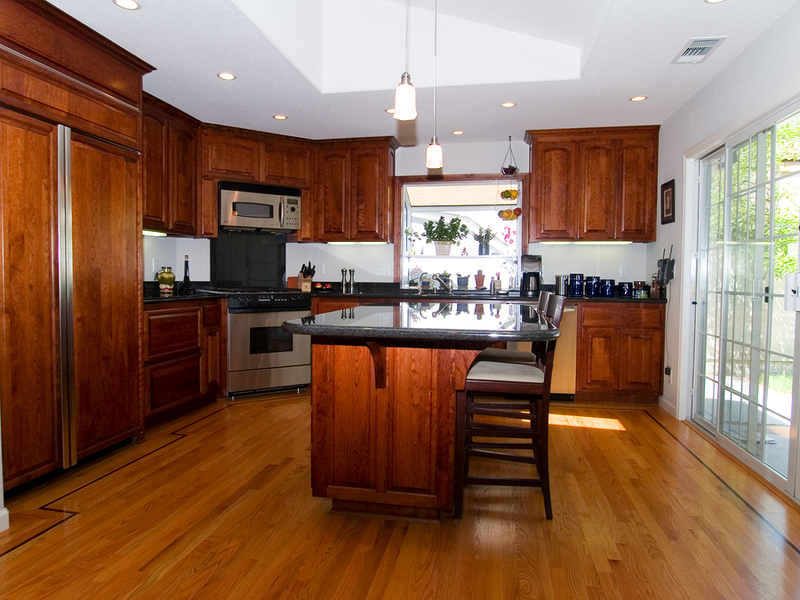 One of the biggest considerations to make during your kitchen remodel is your countertops. So many different countertop materials and trends have come and gone over the years, so it can be a bit perplexing when trying to find something that is still in style. Quartz is always a great option to consider and also awards you with durability and longevity. Quartz has a much harder surface than other countertop types. You just need to watch the heat and avoid placing anything hot on the surface, or you can damage the material. The days of a crisp and clean white kitchen look are over, and now we are looking toward a future that incorporates color into the design and sets the mood for a timeless kitchen. Moody kitchen tones are the design trend for 2019 and are much more dramatic and vibrant when compared to the often used whitewash look that drew so much appeal in previous years. Mixing and matching are also in for 2019 and applies to both the cabinets and flooring. You can personalize the aesthetic you are looking to achieve and explore other options when it comes to the flooring you use. Don’t be afraid to incorporate your favorite design or color or mix patterns with vibrant colors. While the design trends mentioned above step away from the ordinary trends of the past, the minimalist approach is still prevalent. For a more modern and contemporary and updated look going minimal is recommended. For this aesthetic, you should strive for clean-lined cabinetry, lose the intricate molding, and find finishes that are timeless and minimal. No matter which design trend you follow, or which approach you embark on for your next kitchen renovation, you can always contact us at Cardigan to go over the many cabinet and flooring options that are available to you.